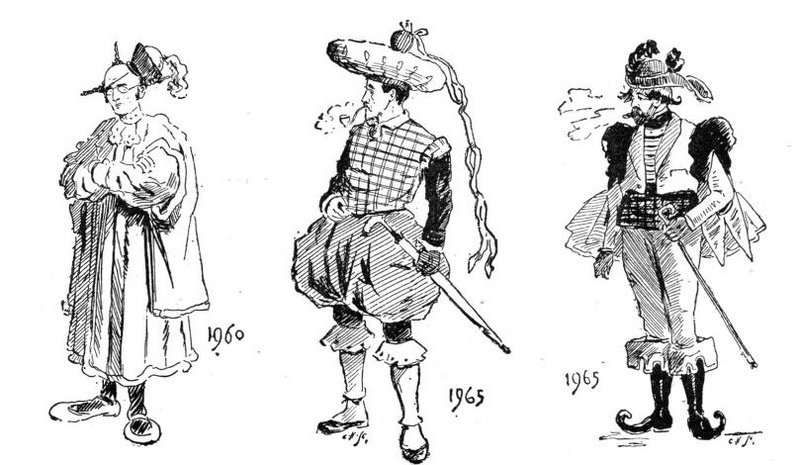 As an artist I am always on the lookout for public domain images that I can use in my artwork. As I was looking around for some botanical illustrations, I stumbled upon a delightful site devoted to posting and blogging about these kinds of images. 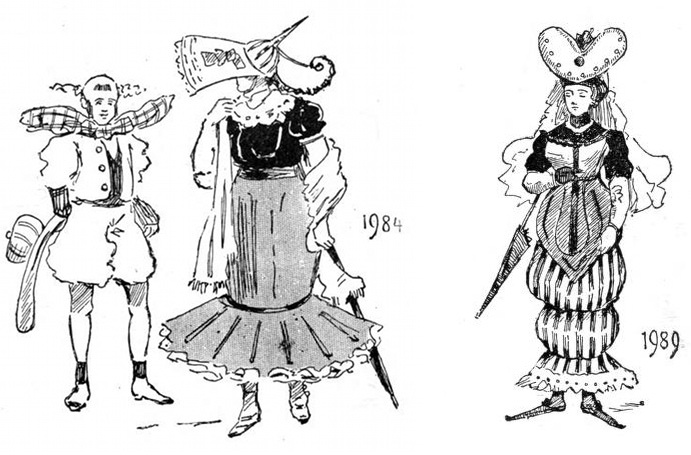 Here’s a series of gems from an article called “The Future Dictates of Fashion,” by W. Cade Gall, and appeared in The Strand in 1893. 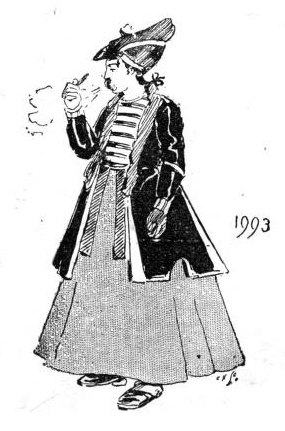 The author claims to have found a book that is from 1993 and gives a “history of fashion” for the century to come. Time-traveling books?! You can’t get much more Steampunk than that! 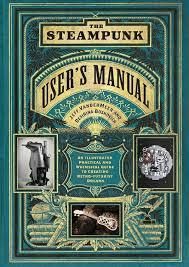 Jeff VanderMeer is a heavy-hitter on the Steampunk book scene, and, along with co-author Desirina Boskovich, he released a new book in October entitled The Steampunk User’s Manual: An Illustrated Practical and Whimsical Guide to Creating Retro-futurist Dreams. I have a copy of his Steampunk Bible, but along with several other volumes it had to be left behind in the US when I moved to Europe for the year. Luckily, I have family visiting in the Spring who will bring it to me, and maybe if I ask Santa really nicely he will leave the User’s Manual in my stocking this year. Have you read anything by VanderMeer? Please share your thoughts below! 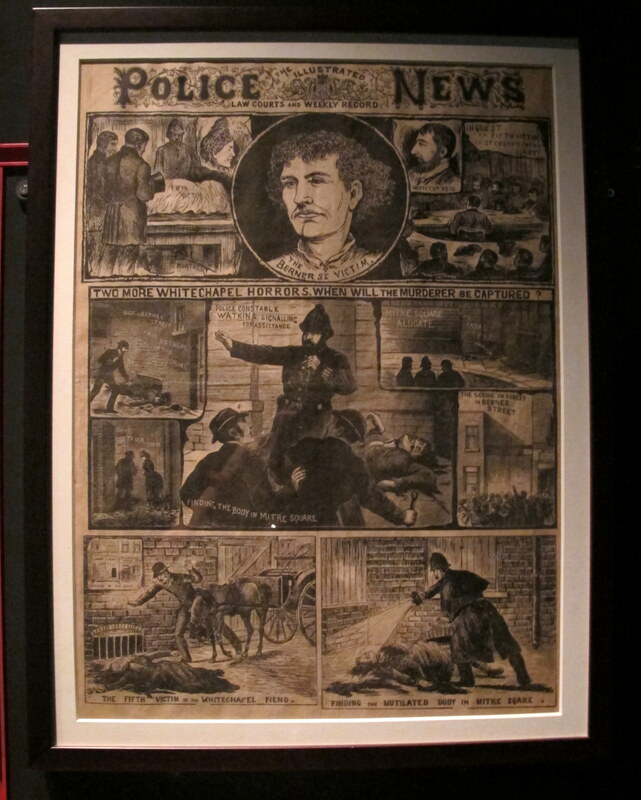 Sherlock Holmes is Sir Arthur Conan Doyle’s most famous character, but definitely not his only one. I have noticed that some of the newer renditions of Mr. Holmes show him as, at best, suffering from Asberger’s syndrome, and at worst, a monumental jerk. If you have read Conan Doyle’s books, you would know that this is not actually consistent with Sherlock’s character, but it is spot on for the (sometimes) hero of The Lost World, Professor Challenger. 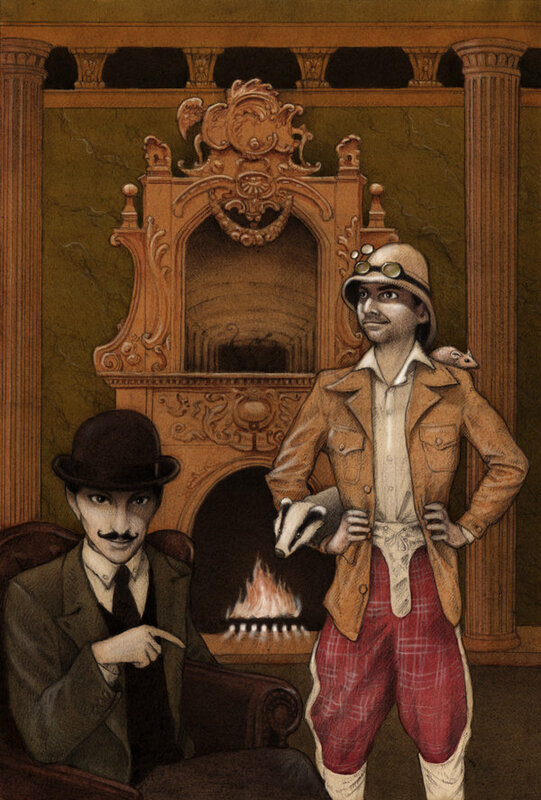 Challenger, like Holmes, is a genius, but he doesn’t spend his time hanging out in London. He is an adventurer, a trail-blazer and a scientist extraordinaire (and doesn’t he know it!) who will use his intellect to thwart his academic enemies, and his fists to back up his intellect. 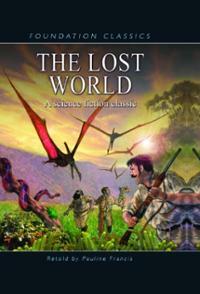 I thoroughly enjoyed his turns of phrase and clever barbs throughout The Lost World even more than the premise of the story itself, and he was a great foil for the young and inexperienced narrator. Like Jules Verne’s Journey to the Center of the Earth, Conan Doyle explores the prospect of a place that time has left behind. When Challenger’s assertions of its existence are called into question, the National Geographical Society mounts an expedition to investigate his claims that there is a plateau in South America where dinosaurs still roam the earth. And not just dinosaurs! There are all kinds of blasts from the past that have wandered to the secluded spot over the years, some of them remaining unchanged and some of them evolving along a whole new line. I thoroughly enjoyed this book. This is another one that the Mister and I read out loud together and that was a great way to experience it. The dialog between Challenger and his rival scientist, Summerlee, is fantastic, and there were many times I laughed out loud. I also know just enough biology to appreciate the rival points of view and interaction of species. I can’t wait to read the next Professor Challenger title, The Poison Belt. Have you ever read any Professor Challenger stories? What did you think? 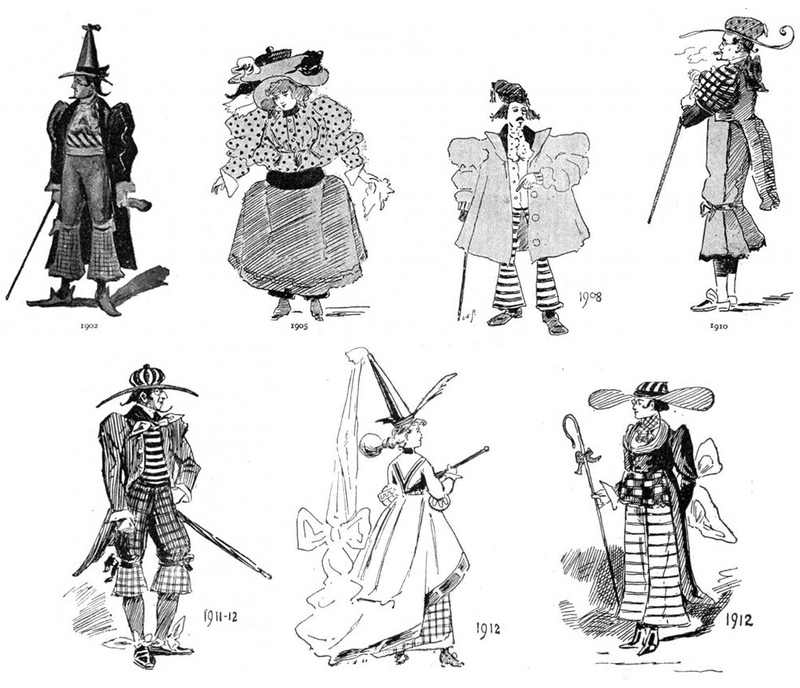 Maybe witches aren’t your thing, so you won’t be seeing Hansel and Gretel as part of your Steampunk Halloween. But everyone likes vampires, right? 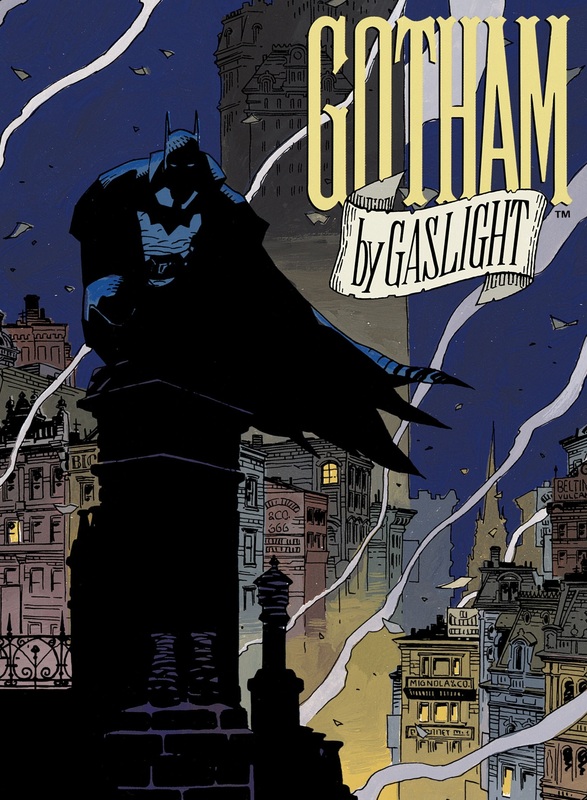 In 2010, author Seth Grahame-Smith penned an alternate history featuring America’s favorite president and pitted him against the forces of darkness running rampant in the South. It was made into an insanely good action movie in 2012 and it is another awesome choice for any steam-inspired monster movie marathon. 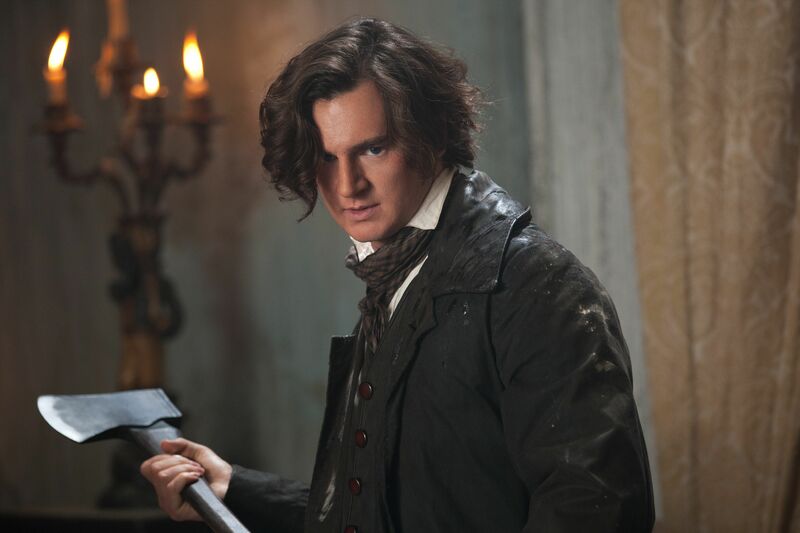 Abe’s (Benjamin Walker) sojourn into the vampiric underworld starts when he is a child, though he doesn’t know it. His mother falls victim to a mysterious disease as a result of his father standing up to the unfair treatment of free black people under his boss, Jack Barts (Marton Csokas). Even as a child he knows that Barts is somehow behind his mother’s death, and once he is grown he tries to take his revenge. To his shock, his bullets have no affect on Barts and Abe has to be rescued by a stranger whom he just met in the bar. 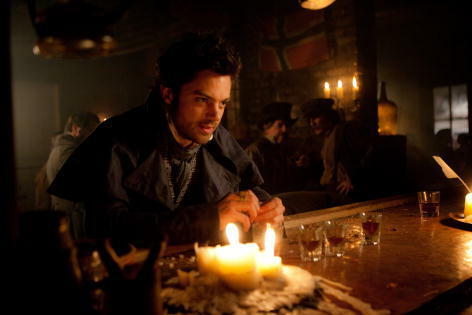 The man calls himself Henry (Dominic Cooper) and tells Lincoln about how vampires escaped persecution in Europe to the American South, where they are deeply involved in the slave trade as their source of food. Abe is only interested in his own vendetta, but agrees to be a vampire hunter under Henry’s guidance in order to gain the skills he needs to finally take down Barts. 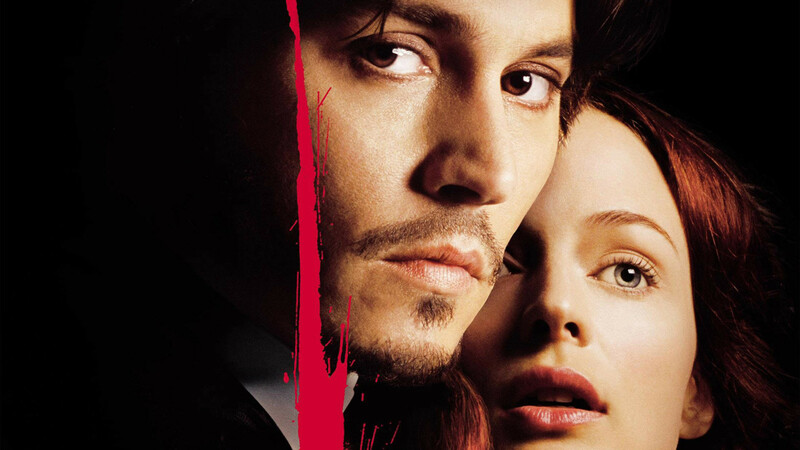 After hunting a series of vampires one by one, Lincoln decides he can make a much bigger difference in the world as a politician than by wielding his special silver-bladed axe, and his life takes the shape of the history we know for a while, including his marriage to Mary Todd (Mary Elizabeth Winstead), presidential election and the outbreak of the Civil War. 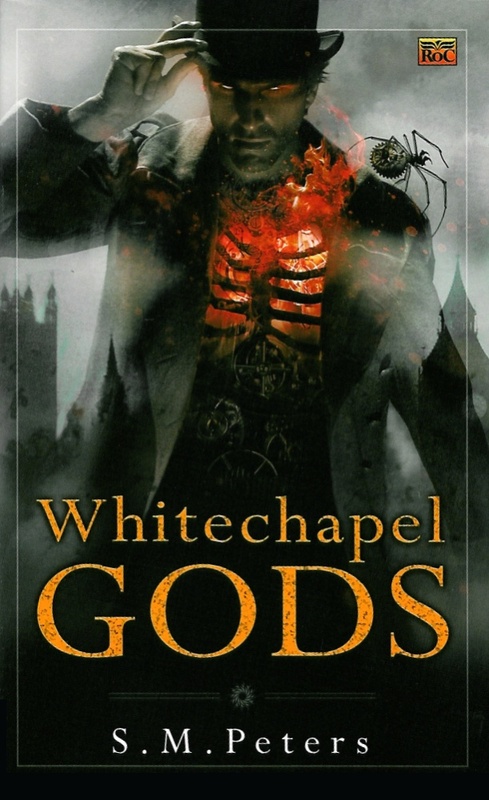 But when the Southern politicians ally themselves with the vampires, the unkillable soldiers start to tip the scales towards a Southern victory, and Abe must confront them and the mastermind of their ascent to power (Rufus Sewell). 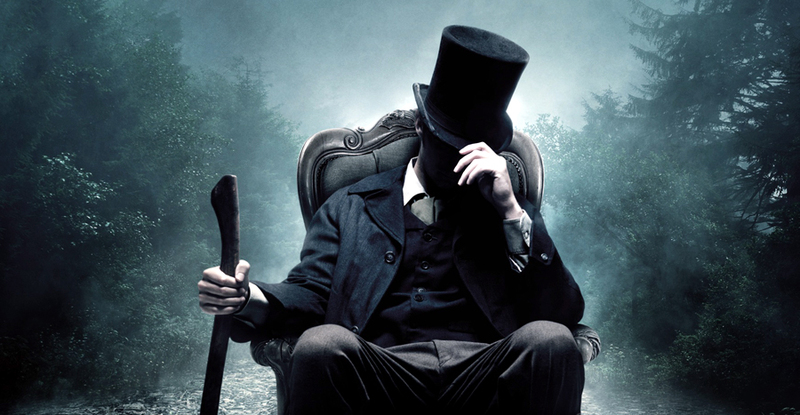 Whether or not you know anything about the real Abraham Lincoln, this is a really fun and entertaining film. The effects are very special, the lighting and camera work are Gothic and moody and the action scenes are dynamic and sometimes even breath-taking. This was a much better film than I expected just based on the premise, and as it turns out the author did a great job of integrating vampire lore into the politics of the mid-19th century and documented historical events. Plus, it is a great action film. There is a fight scene that takes place during a stampede of horses, and a struggle on a speeding train that will keep you on the edge of your seat. 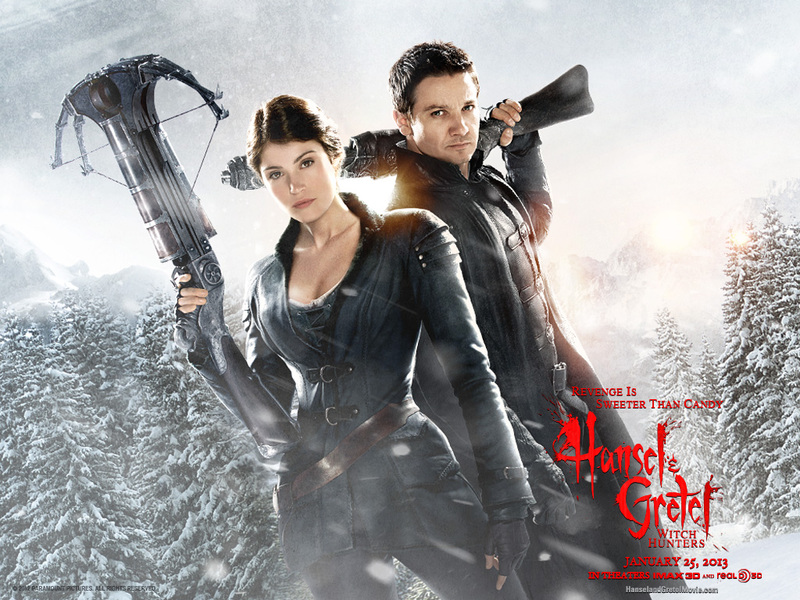 It does not have the same ratio of dark comedy to action as Van Helsing or Brothers Grimm, but there are still some good lines and ironic twists that will make you smile. 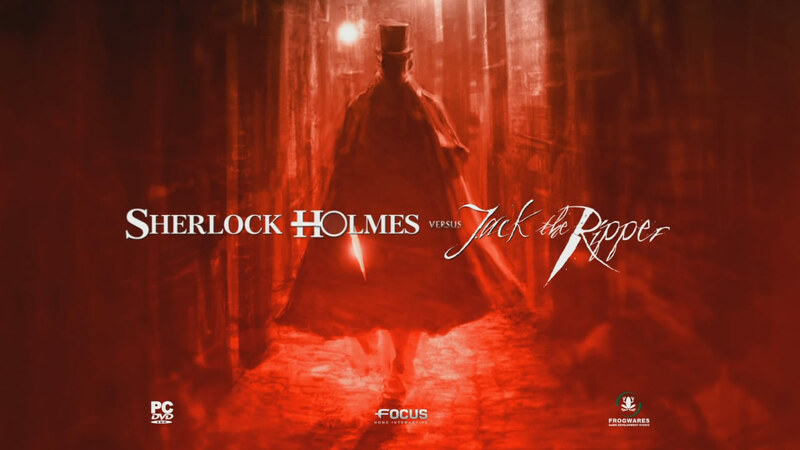 I haven’t read the book, but I really enjoyed this movie and I will definitely be re-watching it to bring some “spook” to my “steam” again this year.